It was my privilege to have represented Wales and Companies House on a 2 month management placement in Lesotho, Africa, alongside 3 other Welsh colleagues. 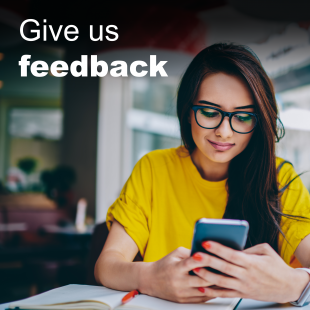 The objective was to place us with a variety of local non-governmental organisations (NGOs) to help develop management skills and offer our own insights. 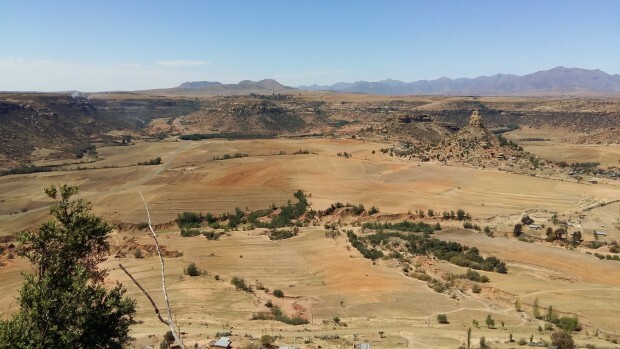 The best population estimate runs at about 2 million but with HIV rates between the ages of 16 to 35 running at 60% the challenges facing Lesotho are more than just working out how many people it has. The challenges are immense. The community is dominated by large groups of elderly and young people, a quarter of which have HIV themselves. As a result of the human tragedy, there is a genuine lack of social stability which impacts business continuity. This leaves government agencies and NGOs struggling to coordinate responses on a whole variety of social, industrial and agricultural challenges. 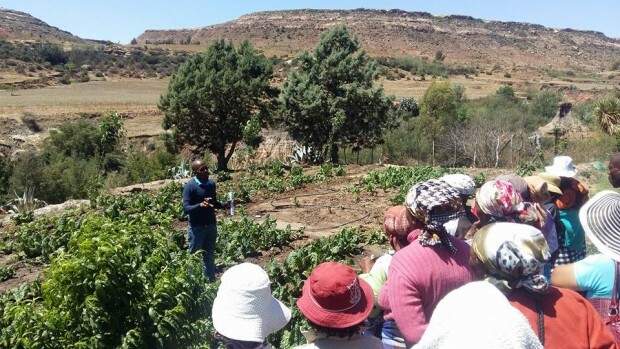 I was placed with a well-established NGO ‘Send a Cow – Lesotho’ (SACL), working on sustainable agriculture projects in what is now a punishing period of drought. I was particularly pleased with this because of my personal interest in small holding farming and small livestock management. It was a chance to really share some practical experience and gain new insights myself. Local communities could not have been more welcoming or more willing to learn and I’m so grateful to SACL for offering me this opportunity. My time was spilt between field work and communications. I provided some tuition on comms and graphics, including photography, image manipulation and story writing to support these visual aids. The objective was to significantly improve their presentation skills for the benefit of donors and government agencies. Being able to illustrate your work effectively is really important and the whole team rose to the challenge. I was impressed at the speed with which the local facilitators picked up the necessary skills and applied themselves to illustrating their work. With ratios of 1/400 between SACL staff and farmers, we also worked on the foundations of a video series to leave with farmers as a teaching aid. Most communities have access to a video facility, even if only on an occasional basis, and, perhaps surprisingly, Wi-Fi connectivity is excellent even in remote areas. This development shows some real promise for the future. I came away with way too many insights to process easily or quickly. I worked with intelligent, resourceful and passionate people who were really willing to learn. They were keen to pass on their knowledge to me in the hope that I’d tell the world more about Lesotho. We explored and investigated. It’s a country of high mountains, arid and isolated within which scattered villages and communities eke out a difficult, hand-to-mouth existence. The small towns and capital, Maseru, have the normal hustle and bustle of street life, small stalls and lively conversations. People always ready with a smile. I also managed the decent on the Guinness World Records longest commercial abseil in the world and wrestled a puff adder, amongst other exciting things. I’m very grateful to Companies House for their support in allowing me time to do this important work. Lesotho is a wonderful country and I hope to be back there one day, sooner rather than later, to renew friendships and to find out what happened to the seeds we planted.